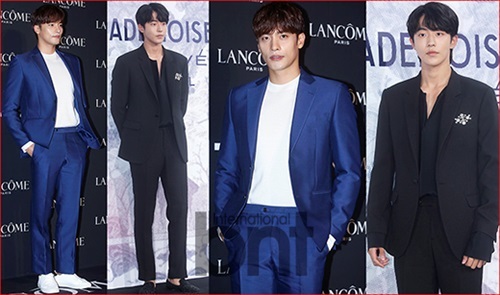 [by Oh Eun Sun] What do Nam Joo Hyuk and Sung Hoon have in common? That is the fact that both of them have good fashion that shows off their tall height and toned physique. Let’s examine their great fashion styling from the casual look to suits. 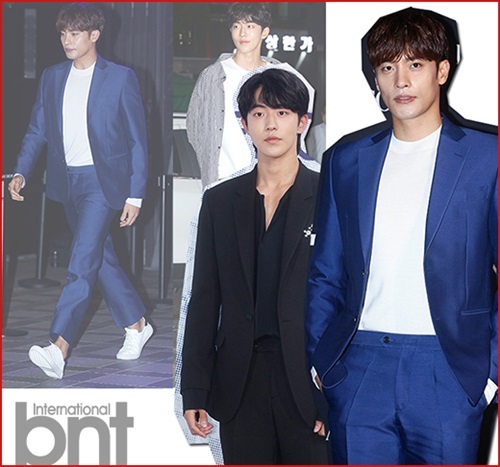 Sung Hoon Sung Hoon selects a strong-colored blue suit. In order to emphasize the blue color, he matches the inner and shoes in white. You can feel a masculine and refined mood that fits well with his impressive face. He captures women’s hearts with his neat styling that isn’t superfluous. His hair style is calmly dried and is a focus point of fashion. Nam Joo Hyuk Black and more black. Nam Joo Hyuk perfectly shows the all black look. Added on with his hair color, he exudes a tidy feeling. The inner wear that slightly exposes his collarbone becomes the key point of his look. In addition, the fitting suit makes him appear even tidier. 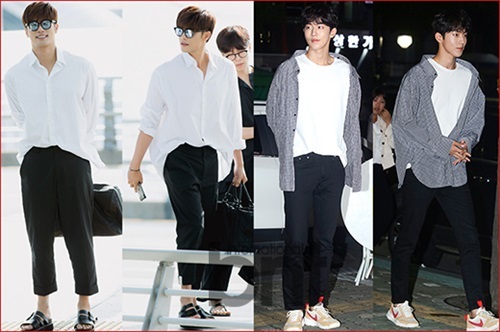 Sung Hoon Fashion that uses the most basic items. Sunghoon showed a comfortable yet flawless look through a white shirt and black slacks. The shirt that is only tucked in the front gives off a tidy yet carefree feeling. Refer to this look on a relaxed date with a girlfriend in which you don’t need to accessorize. Previous article[Interview] ‘V.I.P’ Jang Dong Gun, Everything was the Top. Next articleTaemin’s FIRST solo concert!